Fruits for glowing skin everyday will make skin healthier and more radiant. 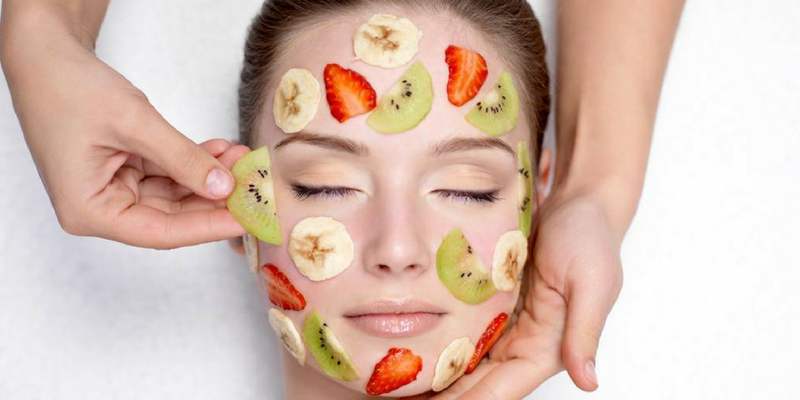 The best way to rejuvenate skin is to consume fruits and treat skin by eating antioxidant-rich fruits. Fruits contain fiber, vitamins, minerals antioxidants that help to protect skin from the cellular damage caused by free radicals that can cause wrinkling and age spots. They contribute to the healthy glowing and youthful skin. Checkout the Infographic below by “Yonka” to know more about Vitamins, Minerals antioxidants,which make skin more beautiful. Mangoes is rich in vitamin A and it fights against skin aging, regenerates skin cells and maintain the flexibility of skin. Lemons can be uses to lighten the skin tone and it also diminish acne scars , pigmentation, dark spots. Bananas contain vitamin A,B and E works as an anti-aging agent. It prevent anti-aging,wrinkles and fade dark spots. Oranges improves skin texture. It also slows skin aging process and clear skin blemishes. Antioxidants also plays a great role in our life and as well as in our skin. Antioxidants for skin are best to improve our skin texture. It protects the skin from damage by neutralizing free radicals. MUST TRY!! !